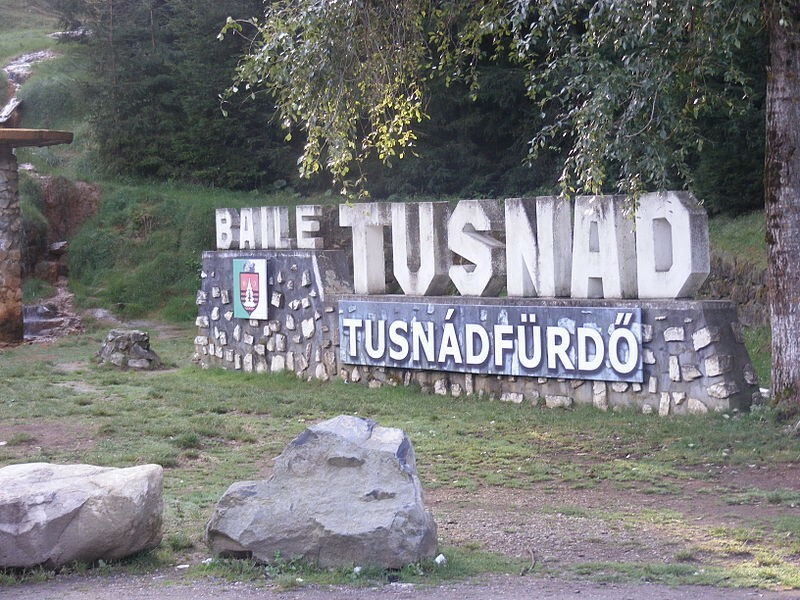 The Summer University and Fidesz get-together in Transylvanian Băile Tușnad/Tusnádfürdő has long played an important role in PM Orbán’s strategy. The week-long event (in the media often referred to as Tusványos) had originally been intended to foster Hungarian-Romanian understanding, but has lately become a stage for leading Hungarian politicians – first of all, Prime Minister Orbán – to announce their political strategy for the next years. Probably the best-known example is his (in)famous speech about “illiberal state/democracy”, being mentioned first in Băile Tușnad/Tusnádfürdő in 2014, as the core of his political philosophy. His first attacks against “foreign-paid civil organization” date also from his 2014 speech, just to be translated into actions three years later. It was in Băile Tușnad/Tusnádfürdő in 2016 that he pledged support to Republican candidate Donald Trump, viewed with certain disdain by European fellow politicians. This year, Prime Minister Orbán offered his well-known critical vision of the EU, and did not hide his ambition to play a more active role during the 2019 European Parliament election campaign. From his point of view, the 2019 elections will finally be a real battle, fought around the issues of migration and the future of Christian values. CEID asked Hungarian politicians and experts to analyse his speech, and share with us their views on whether Mr Orbán can offer a real an alternative in Europe and what this could mean for the EU’s future. Our experts seem to agree that Fidesz should maintain its membership in the EPP, but disagree on the viability of the potential alternatives PM Orbán can offer to European voters. How do you see the chances of Fidesz and PM Orbán – coming from a new EU member and from the East – offering a real alternative in European politics, even for West-European parties and voters? Fidesz wants to strengthen the EPP’s position in the coming election. We would like to build a stronger Europe on strong member states, among them a strong Hungary. We are convinced that a strong Fidesz and a strong EPP strengthens both Hungary and Europe. The 2018 Tusványos speech is quite significant while it proves that Europe is important for Hungary. So important that Hungary is ready to give up a part of her sovereignty in order to establish a common European army. I believe we have as much of a right to develop our own vision for the future of Europe as the Western-European countries. We do have our own vision, which is a real alternative, and a lot of European citizens deeply sympathize with our standpoint. A defenceless Europe is not sustainable. A meaningless Europe is not sustainable, and an Islamic Europe is not Europe. However, our real chances for the 2019 elections are restricted. We are not going to gain the majority in the European Parliament because we are still very few. However, our standpoint will make this European election quite vivid and thrilling. Finally, we are going to have a real election with high stakes in Europe – and we have a crucial role in it. We expect the patriotic parties, the parties that belong to the “Europe of nations” group in contrast to the “federalists”, grow stronger, and the Social Democrats will suffer serious losses. Still, I think their reserves are quite large and the process we started will not reach its peak next spring. Our rise has just started. Orbán is much better known today in Europe than a few years ago, but the majority of West-Europeans rather dislikes him. Only the right-wing radicals agree with his views. Regardless of whether we agree with PM Orbán or not, he has become a well-known politician. Only German Chancellor Angela Merkel has been in power longer then Orbán, but unlike Chancellor Merkel, Orbán is not facing any internal political challenges. The real question is not whether he can offer an alternative to a number of parties, but whom he can convince and where he wants to make a difference. His principal goal is to dominate the EPP and secure some kind of leadership for himself in the strongest European party family. This could lead to an immediate break with some member parties from Sweden, Netherlands, Luxembourg and possibly from Portugal and France. This scenario would create extreme tensions within allies in Germany, Poland or in the Baltic States as well. Orbán’s political ideas on leadership and competitiveness of Europe, migration, culture and religion are mostly shared by parties right from the EPP, like ECR, EFDD and ENF. Two of these party groups will cease to exist in their present form as the direct consequence of the Brexit. The question is if there is anybody to unify them? So far only Matteo Salvani has indicated his interest. If Orbán’s position is seriously threatened in EPP, he has an option to join this group, but this can only be a secondary option. A stronger voice in EPP will remain the priority. How united could a V4/ Central-European cooperation be in the future in the EU? Can Romania become an ally? The V4 wants to gain the partnership of all European countries which consider European security, stability and prosperity a priority. We especially count on Romania, being an important Central-European country. No Hungarian leader has ever spoken about the Romanian Orthodox Church and religion as an ally. Now Viktor Orbán said: it is of historical importance for us that Romanians could keep their religious and national identity amidst the changes in Europe. This means that the Romanian and the Hungarian national identities are not opponents or rivals, rather potential allies to each other. So, when we raise the problematic issues that the Hungarian minority feel and signal to us we are not fuelling the contrast but trying to find common ground with the Rumanian nation. It is unlikely that the V4 would be strongly united against the EU. But they agree in deploring certain EU policies, e.g. migration, secularism, gender policies, excessive bureaucracy of the EU. If no major reforms of the EU will be launched on social and welfare issues, the V4 cooperation will be intensified along the questions polarising Europe. You can blame the populist movements in Eastern Europe, but the original symptoms and social challenges are similar everywhere. Beyond positive economic trends the social challenges – growing inequalities, brain drain, massive inside and outside migration – are largely similar and the EU has not even recognized the explosive character of this threat. How do you see a possibility of Fidesz and PM Orbán forming a European conservative party outside the EPP? Fidesz is a Christian Democratic party and EPP is the home to Christian Democracy in Europe. Fidesz has a place in the EPP. The current debates within the EPP shows that it is a democratic party where clashes of opinions and debates are possible. One of the main debates is the relation of Christian Democracy to “liberalism” or “liberal democracy”. Though the root of the word “liberal” goes back to The notion of libertas (freedom), the present form of liberalism has gone far from this original meaning. Liberalism today often goes against freedoms: freedom of expressing values related to family or national identity, freedom of safeguarding human dignity. There are people who say that Christian Democracy should identify with these trends, or at least should compromise with these trends. We are on the side of real liberty. We think dignity must remain a part of freedom, family and national identity should stay part of our freedom. And Christianity should also remain among our freedoms. If restraining freedom is called liberalism – which is a contradictio in terminis – then we are not liberal. Liberal democracies tend not to be liberal anymore and often not very democratic either. Some people do not like us for this standpoint but time works for us. The EPP is a democratic party and listens to the voice of the demos, the people, their electors, and people all around Europe are fed up with centralized interventions in their private life and feelings. There are so many internal and external stakeholders calling for action by the EPP against Fidesz. If Orbán has a chance to lead EPP, bring fresh conservative and populist movements into the party family, even if that has a price of losing traditional Christian conservative parties, he will not seek alternatives outside EPP. If he is sidelined, if the number of those ready to impose sanctions on Fidesz and Hungary within EPP will further grow, he will try to set up his own party family. If so, who/which parties could be the real allies of Fidesz in the EU during the campaign and even more importantly, afterwards? What could be the common platform and message of a new Right, besides anti-migration policies? In specific issues, we might find possible allies in all kinds of parties and fractions in the European Parliament – even outside the EPP as well. They might support us in certain voting if we offer a good alternative, especially from the Central-European states: from Poland, Slovakia or Romania. And since the European Parliament works by a different logic than the national parliaments – party discipline is not that strict – we might end up with more MEPs agreeing with us in one or two topics spread in the parliament than concentrated in a new fraction. The topics are the ones PM Viktor Orbán proclaimed in his Tusványos speech: traditional family, sustainable society, Christian values and culture , a Europe of nations. Migration is still a calling word for our camp because it is going to stay with us as a problem for a long time. Migration has aroused national identity in a lot of countries all over Europe. The topics will be anti-migration, anti-Brussels, and the lifting of sanctions on Russia. The real allies of Fidesz will not be the EPP, but the Alternative für Deutschland and other anti-EU, anti-elitist parties. Clearly the parties which advocate stronger nation states, Christian and conservative traditions, like traditional families and opposing liberal values. These are the current members of ECR, EFDD and ENF as well as fresh nationalist-populist movements. PM Orbán sharply criticized the current President of the European Commission, although he was the candidate of the European People’s Party. Could Mr Orbán personally take on a European role? No doubt, we had arguments with Mr. Juncker throughout this cycle, though we respect many of his efforts, e.g. his recent success in mitigating the tense situation between the EU and the USA when he met President Trump. I am positive that the EPP will find the right successor. I do not see the probability of Viktor Orbán as a candidate in reflection of the criticism coming from the EPP, as published lately in Politico. We have a good chance to find a generally accepted candidate because the EPP can build on the experiences collected during the present era, which cast light on the problematic spots. The candidate can adapt to the new challenges and keep the line where it proved to have been working. Orbán wants to run Hungary and – from this position – make much headache to the EU. When he denounces the present holders of top positions in the EU, he actually opposes the EPP, although he tries to hide it. It is unlikely that he would have either the willingness or the majority to lead the European Commission. Active politicans are generally lacking the ambition to lead the EC. It is an illusion that the Spitzenkandidat system will continue to operate in its present form. As the S&D and EPP will not have a majority in EP, a new system has to be developed to secure ALDE votes. It is highly probable that only a liberal EPP candidate could secure the necessary votes, somebody like Juncker. It is for sure that PM Orbán will have the chance to continue his debates with the forthcoming head of the European Commission.